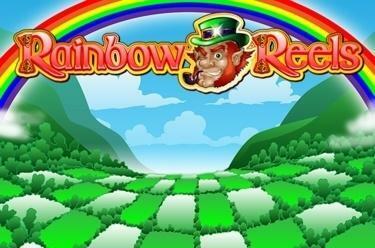 Play Rainbow Reels online for free now! Is there always a pot of gold at the end of every rainbow? Absolutely! In addition to shining coins many winnings await you at Rainbow Reels! Collect the treasures under the colourful rainbow and fulfil your dreams of winning with 3 bonus games! Rainbow Reels is played on 5 reels and 20 win lines. Your aim is to land 5 matching symbols along the win lines. All win lines run in different patterns from left to right across the reels. To win you have to land several identical symbols along a win line. Your winning combination has to start on the first reel on the left and run along the win line to the right without being interrupted. The Troll substitutes all other symbols except the Pot of Gold, Wishing Well and Rainbow. 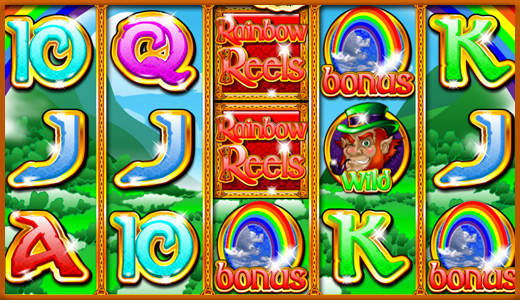 Over the Rainbow Bonus: Land 3, 4 or 5 Rainbow symbols in any position on the reels to trigger the Rainbow Bonus. Here you pick four-leaf clovers, behind which multipliers are hidden. You can keep picking four-leaf clovers until you find a ‘Collect’ or reach the maximum win (current stake x500). Pots of Wealth Bonus: Land 3 pots of gold anywhere on the reels 2, 3 and 4 to trigger the Pots of Wealth Bonus. Choose a pot of gold. You will be awarded with a bonus multiplier (up to x500), with which your stake is multiplied. Wishing Well Bonus: Land 3, 4 or 5 Wishing Well symbols in any position on the reels to trigger the Wishing Well Bonus. Select a wishing well. You will be awarded with a bonus multiplier (up to x500), with which your stake is multiplied.